Welcome to Darley Dene Primary School. 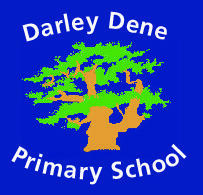 On behalf of the staff and governors, I am delighted to welcome you to Darley Dene Primary School. Our school is situated in the heart of Addlestone and has strong links with the local community and 4 other local schools through the STAR Partnership. Our children thrive in an inclusive and caring environment where every child is encouraged to embrace the school’s values and face new challenges with confidence and enthusiasm. Our committed and skilled staff teach a well-resourced and exciting curriculum that is adapted to meet the needs of every child in their care and provides opportunities for challenge to accelerate progress in all areas. We have one class in each year group from Reception to Year 6 and a Nursery which offers 30 hours Nursery provision for eligible families. We also have a Specialist Centre for children aged 4-7 years who have significant learning difficulties with additional needs (Owls Class). We benefit from large airy classrooms with many additional small spaces for group and individual work, plus 2 hall spaces. Outside we have developed the area to stimulate and excite with a multi use games area, Forest School area and Trim Trail. We value close partnership with parents and carers and have an ‘open door’ policy and a Home School Link worker. I do hope that you enjoy learning more about Darley Dene through this website. I look forward to hearing from you if you have any queries or would like to visit the school and see our amazing children at work and play.